Over two million American women hunt. By taking up weapons for the explicit purpose of killing, they are shattering one of Western culture’s oldest and most firmly entrenched taboos. The image of a woman ’armed and dangerous’ is profoundly threatening to our collective psyche--and it is rejected by macho males and radical feminists alike. Woman the Hunter juxtaposes unsettlingly beautiful accounts of the author’s own experiences hunting deer, antelope, and elk with an argument that builds on the work of thinkers from Aldo Leopold to Clarissa Pinkola EstÈs. 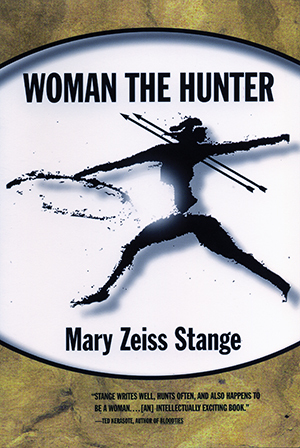 Exploring how women and men relate to nature and violence, Mary Zeiss Stange demonstrates how false assumptions about women and about hunting permeate contemporary thought. Her book is a profound critique of our society’s evasion of issues that make us uncomfortable, and it culminates in a surprising claim: that only by appreciating the value of hunting can we come to understand what it means to be human.